Hello everyone/anyone ,, Hope you're having a good day !?? (06-10-2017, 05:20 PM)rhino Wrote: Hello everyone/anyone ,, Hope you're having a good day !?? from the screenshot, boot partition seems to have been tampered with alongside system partition. 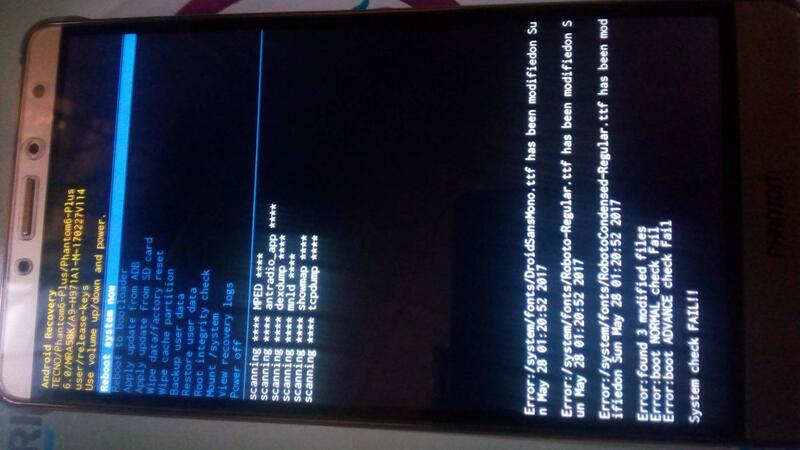 you can try booting into TWRP (dont flash supersu) > perform a backup of boot and system partition. then restore the backup onto your device. use a file manager and check the root of your SD card / internal storage, you should find the update package there.